ProLegalVideo.com is a site dedicated to providing secure full-service forensic video production to the legal community. Serving the Northeast corridor from Boston to Washington, DC and all of the NYC metropolitan area, we offer professionally certified court-compliant video deposition production, including Elmo depositions, live mixed PC feeds, document and small object video feeds (magnified up to 64x) with high resolution large screen presentation and broadcast quality recording on-location. Taking it up a notch, we produce streaming multi-media Elmo depositions with LiveDeposition. Now you can see exhibits, PC-feeds and the witness in real time with synchronized LiveNotes on your iPhone, iPad, PC or Mac, anywhere in the world with internet service on a secure connection! No special hardware or software required! Save a bundle in time, travel & lodging expenses! 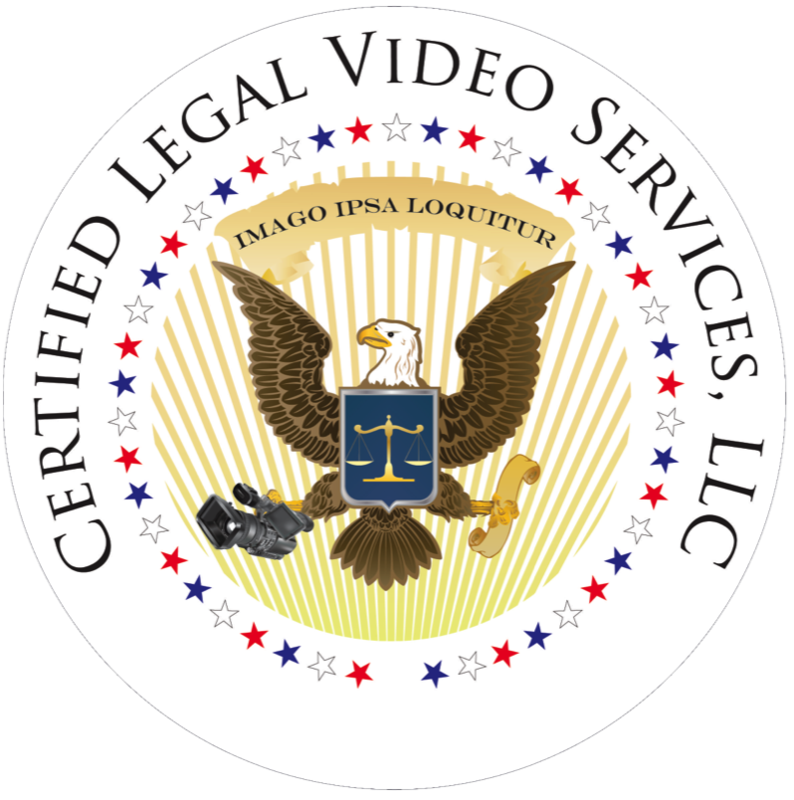 In addition, our firm, Certified Legal Video Services, LLC, offers a host of other forensic video specialty services. We produce Damage Videos for trial presentation. We produce highly targeted, impactive advocacy videos for settlement and mediation proceedings. We produce mock trial recordings. We produce site surveys and other forms of evidentiary on-location videography. We can publish CCTV tape or digital recordings to disk. Rounding off our full-service offerings of forensic video expertise, we also produce professional continuing education CLE videos for the legal community and have worked with some of the largest law firms in the United States producing accredited CLE productions. CLE videos can be produced at live, hosted events, or studio recorded at your firm with a professional teleprompter, script and backdrops for engaging and informative visual FX. Additional content is combined in post-production. We produce special event videos for law firms specializing in venture capital networking. We produce event videos for law firms designed to enhance intra-organizational communications and efficiency. We build feature-rich flexible web sites to promote your law firm and your practice. Your web site can include promotional or educational video, blogs, slide shows, contact pages, maps, even a payment gateway. The web sites we build will have a polished, professional look and will scale to any device: mobile phones, tablets, PCs or Macs. All of our video deliverables are optimized for the highest quality presentation based on our client's needs. Our services are available to law firms and reporting agencies at industry competitive rates. Need a quote? Contact us instantly from the menu above.